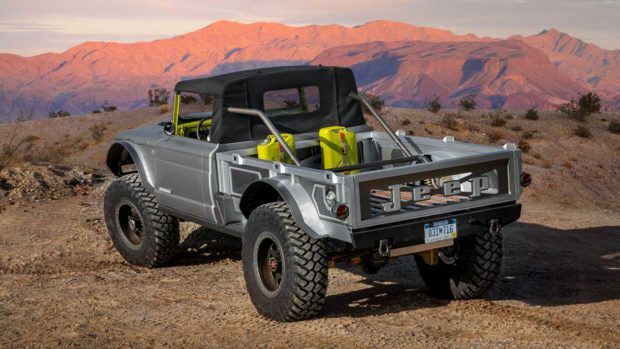 The annual Jeep Easter Safari is going on in Moab, Utah later this month, and as always, Jeep is heading there with some epic concept vehicles. 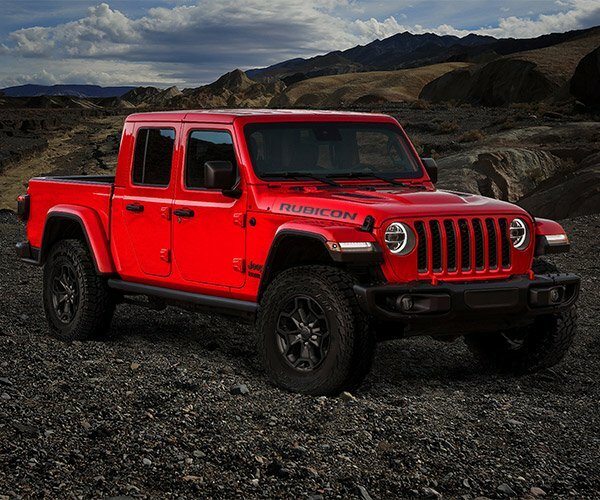 With the new Gladiator launching this year, we’re sure to see some custom trucks on hand. 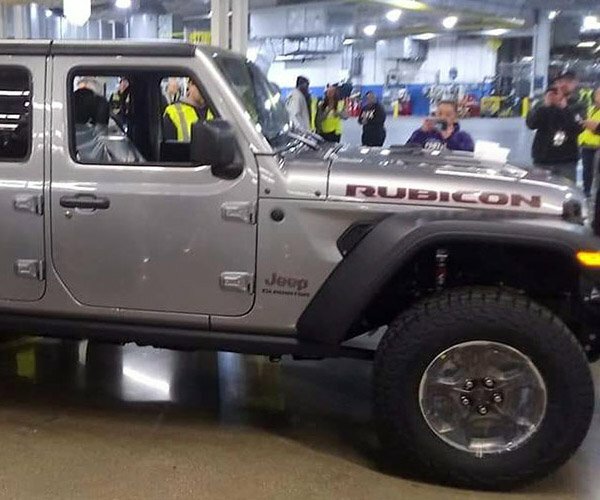 Most of them are hopped up versions of the new truck, but this one is something different, and I want it badly. The Jeep Five-Quarter started as a 1968 M-715, a military version of the original Gladiator. The best thing about it is that a modified 6.2L supercharged Hellcat V8 is under the hood, cranking out 700 horsepower. Other mods include a vintage 8-71 supercharger and a 3-speed automatic gearbox. 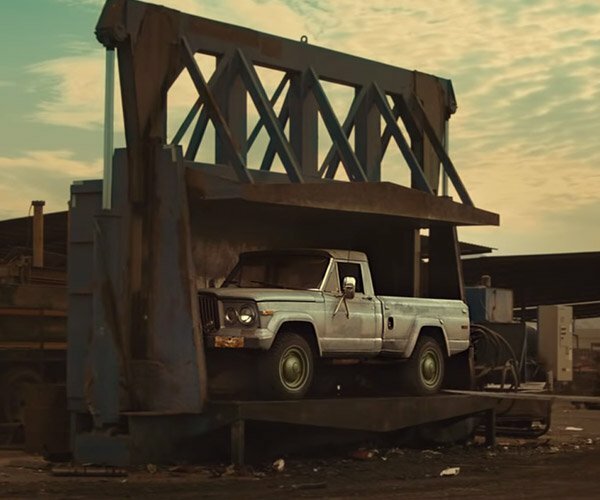 Rather than the original leaf springs, this truck has a coil suspension, along with Dynatrack Pro-rock 60 front and 80 rear axles. The giant tires are 40-inch units, wrapped around 20-inch beadlock wheels. The bodywork is awesome too, particularly the skeletonized tailgate with the Jeep text cut out. If you’re fortunate enough to be attending the Jeep Easter Safari this year, you can check out this bad boy in person.